Sometimes you might need the finance to support your business in the future but some issues might prevent you from getting loans for your business requirement on time. ACLEDA Bank provides immediately the best solution for getting loans with Credit Line Service. Credit Line Service is a maximum credit line promised by ACLEDA Bank depending upon your creditworthiness. Credit Line is not yet a credit unless you make withdrawals. 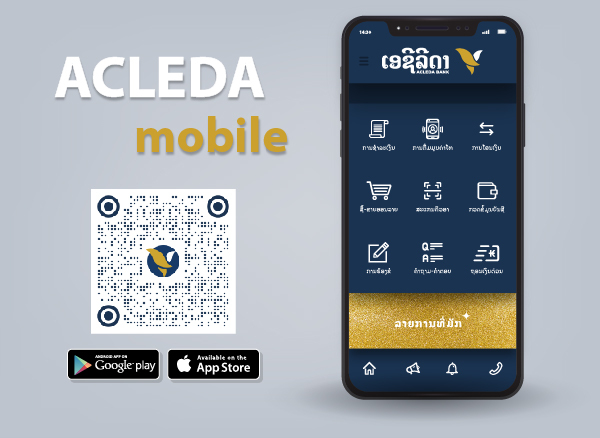 ACLEDA Bank offers this service in LAK, THB, and USD. When using credit line, you will enjoy the convenience in using Trade Finance for other purposes such as credit for import or export, documentary credit, bank guarantee, etc.